TIMA's StudioWorks Artist-in-Residence Program is open to artists from the U.S. and Abroad. Our StudioWorks and North Church Project Spaces offer working studio and workshop space in historic buildings. TIMA is located directly on the U.S./Canada border between New England and the Atlantic Provinces. This location shapes TIMA's international perspective to the broader world. TIMA is building wide ranging collections that reflect the northeast U.S/Canada coast and connect it to a broader world. 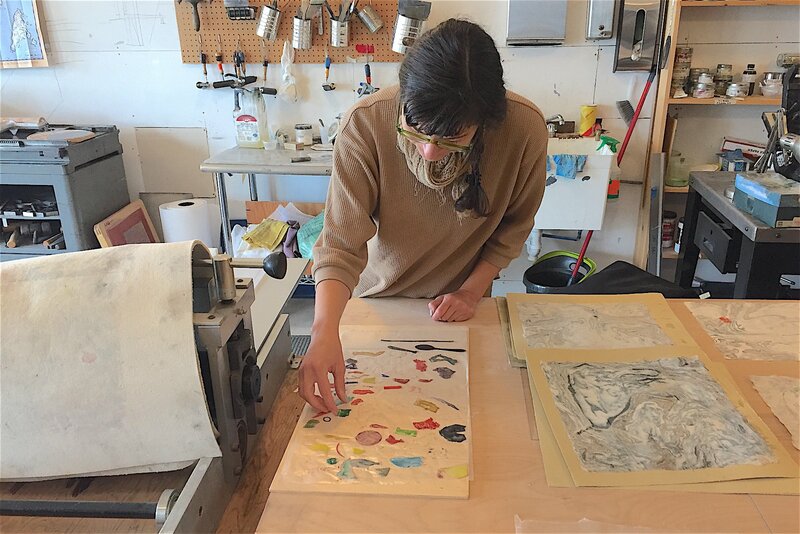 TIMA fosters new works through its Artist-in-Residence Program, Special Projects and Hand Line Press place based posters. This annual international event that features two drops (midnight Atlantic time and midnight Eastern time) is organized by TIMA and consistently attracts national media attention. TIMA's Campus contains six nearby historic buildings dating from 1819 to the 1880s. Three of the buildings are listed on the National Register of Historic Places. Restoration of these buildings is ongoing. 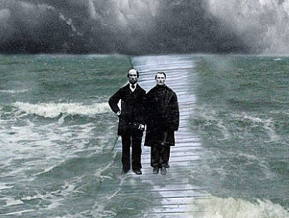 Located directly on the U.S./Canada border between New England and the Atlantic Provinces, the Tides Institute & Museum of Art weaves together a range of regional and international interests, resources, and initiatives to build critical mass, synergy and connectedness. TIMA has received two awards from the national ArtPlace initiative based in New York City that is a partnership of 16 of the largest private foundations in the U.S.. 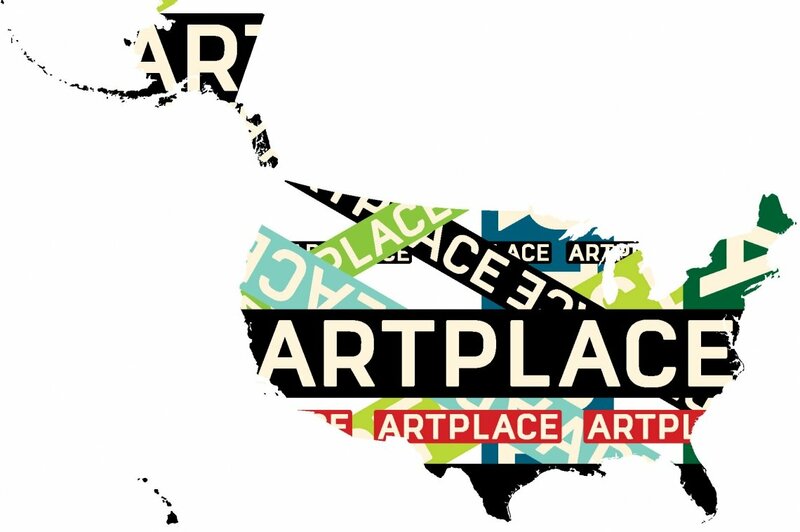 In the first eight years of ArtPlace's existence, TIMA remains the only institution in Maine to have received ArtPlace funding. TIMA's StudioWorks Artist-in-Residence Program is now in its seventh year. Facilities include an 1887 downtown StudioWorks space, an 1819 North Church Project Space plus two historic buildings for artist housing. Forty-four artists from 14 states and three foreign countries have participated in the program. CulturePass offers free online cultural events listings for the greater Passamaquoddy border region (20 adjacent communities in the U.S. & Canada). Subscribe for a weekly events posting in your email box. A project of TIMA. 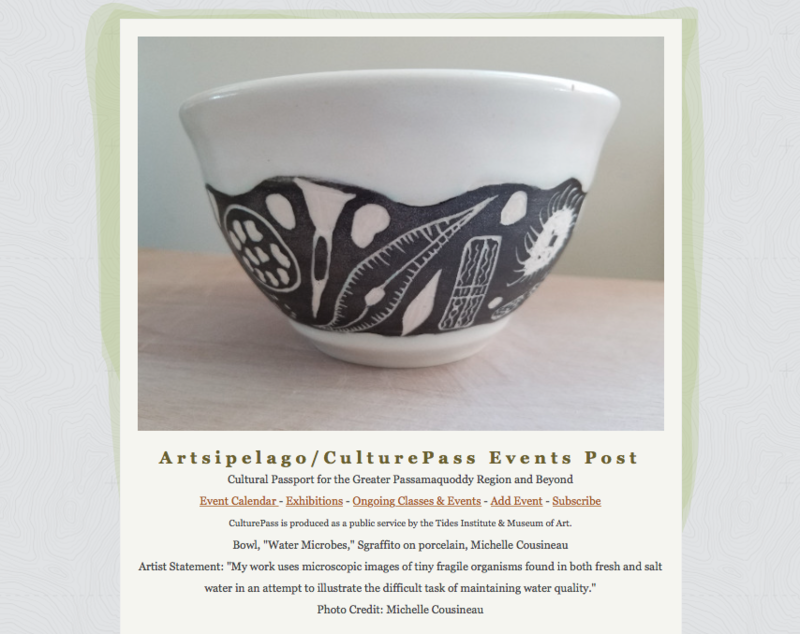 Artipelago serves as a annual cultural guide (in print and online) to the greater Passamaquoddy border region (20 adjacent communities in the U.S. & Canada). Join as an artist or cultural organization. Or become a supporter. A project of TIMA. Over 120 spherical panoramas (360 degree views) of special places (interiors and exteriors of buildings, natural and built landscapes) along the eastern coast of Maine have been commissioned by TIMA. They can all be found online. TIMA's collections are extensive and wide ranging – from historical to contemporary, from the 18th century to today. The collections have a particular focus on art, broadly conceived, but also have strong interests with architecture and history. 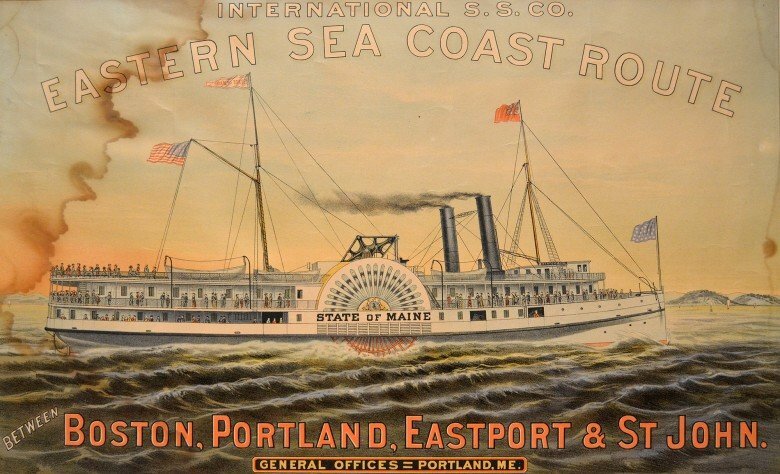 The focuses of the collections are on the U.S./Canada northeast coast with connections to the broader world.